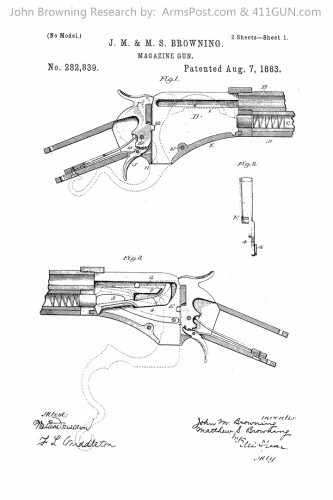 John Moses Browning applied for a patent on this design on September 13th, 1882. He was granted US Patent 282839 on August 7th, 1883. 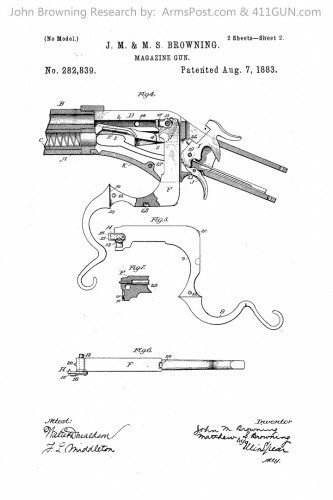 The design was a lever action rifle with an exposed hammer and tubular magazine.